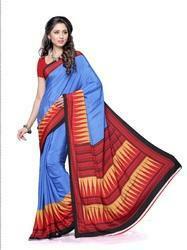 We are engaged in manufacturing, supplying and exporting a wide range of Printed Sarees. Our range consists of Floral Print Sarees, Abstract and Geometric Saree, Floral Prints Sarees, Floral Printed Sarees, White Printed Saree, Red Printed Saree, Bold Printed Saree and Festival Range Printed Sarees. All our products are widely acclaimed by the customers for their elegant designs, unique patterns, seamless finish and colorfastness. In addition to this, we pack all the products using high-grade packaging material to ensure safety during transportation. 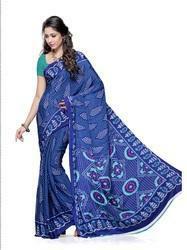 Looking for Printed Sarees ?